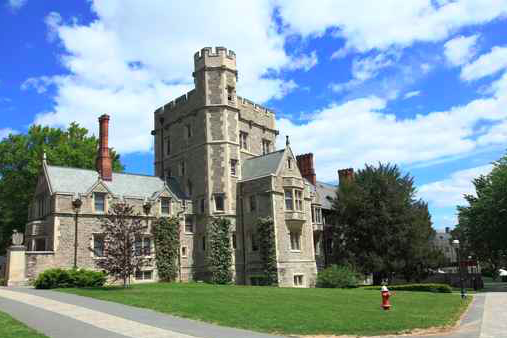 At least 19 students at Princeton University have been diagnosed with hand, foot and mouth disease since teh beginning of the academic year, prompting officials at the Ivy League school to take measures to contain a possible outbreak of the contagious disease. Symptoms of the viral illness include painful sores in the mouth, hands and feet, a sore throat, reduced appetite, and a rash. While the disease primarily affects children under the age of five, adults can still contract it and pass it on to children or peers, according to a CDC specialist who spoke to the Daily Princetonian last Thursday, before six additional cases were confirmed. The danger of the disease spreading among adults is of greater concern because it is a clinical syndrome that can only be diagnosed with the presence of symptoms. Some adults may carry the disease without experiencing any symptoms and pass it on to others. Hand, foot and mouth disease is most often transmitted through close contact – kissing, hugging, and sharing utensils and cups, etc. – or contact with contaminated objects. Without a vaccine to prevent the disease, typical treatment involves taking pain relievers to control fever and mouth wash to alleviate pain from sores. The appearance of the disease comes more than a year after the university contained an outbreak of Meningitis B between March 2013 and March 2014. Nine people were diagnosed with Meningitis B during that period and a Drexel University student died from the same strain of the disease after coming into contact with a Princeton student. Extreme cases of hand, foot and mouth disease can lead to viral meningitis, according to the CDC, which says the most contagious period for the disease is the first week after infection.